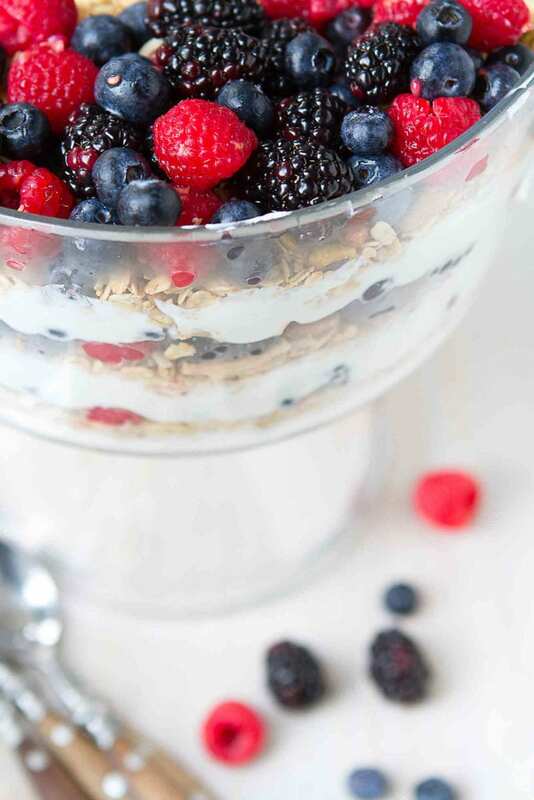 My favorite yogurt parfait is getting dressed up for company! As I was munching on my regular parfait, which happens at least 3 to 4 times per week, I had an epiphanie. What if I took my trifle dish (a glass bowl would work in a pinch) and make a pumped-up yogurt parfait for entertaining? 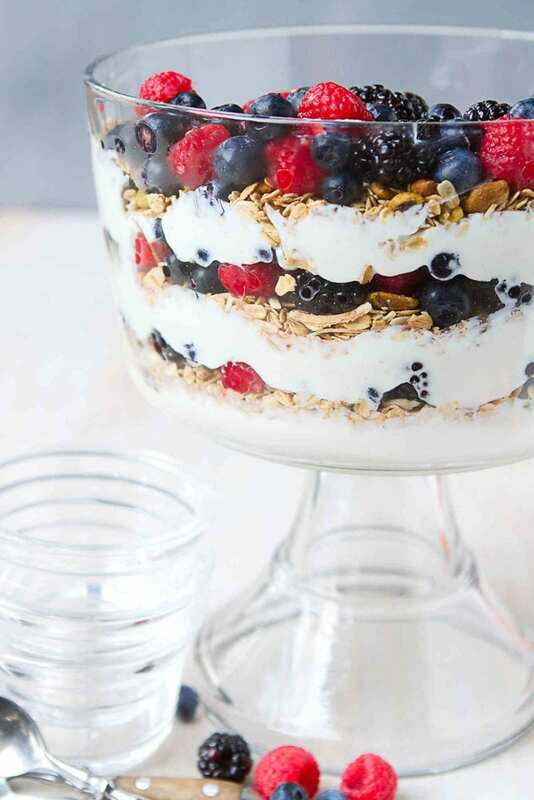 Fresh berries, spiced yogurt (a breeze to make) and a batch of my homemade granola are all that’s needed to make this healthy trifle. Serve it up when feeding a crowd during the holidays or when you invite your friends over for Sunday brunch. Trifle is a traditional English dessert that consists of layers of sponge cake (often alcohol-soaked), custard and fruit. Many recipes use lady fingers as the sponge cake layer, but pound cake can be substituted as well. Many “light” recipes opt for angel food cake. This breakfast trifle is a fun take on the original dessert concept. 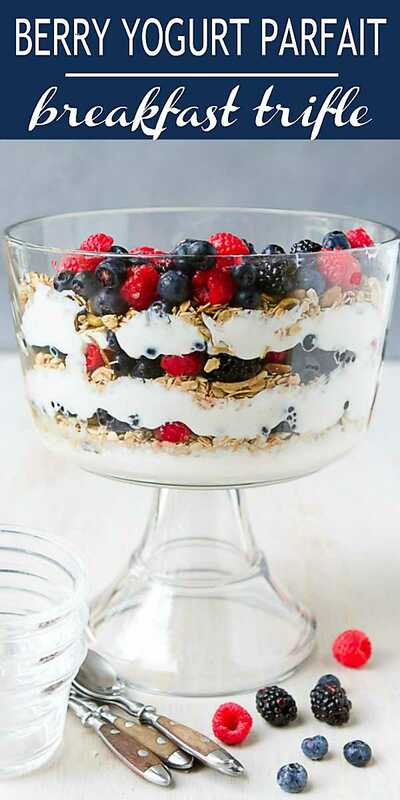 Whipped yogurt instead of custard, granola instead of sponge cake, and all layered with fresh berries. A trifle dish: I found mine at Target, but there are plenty available on Amazon, like this one or this fancier one (affiliate links). 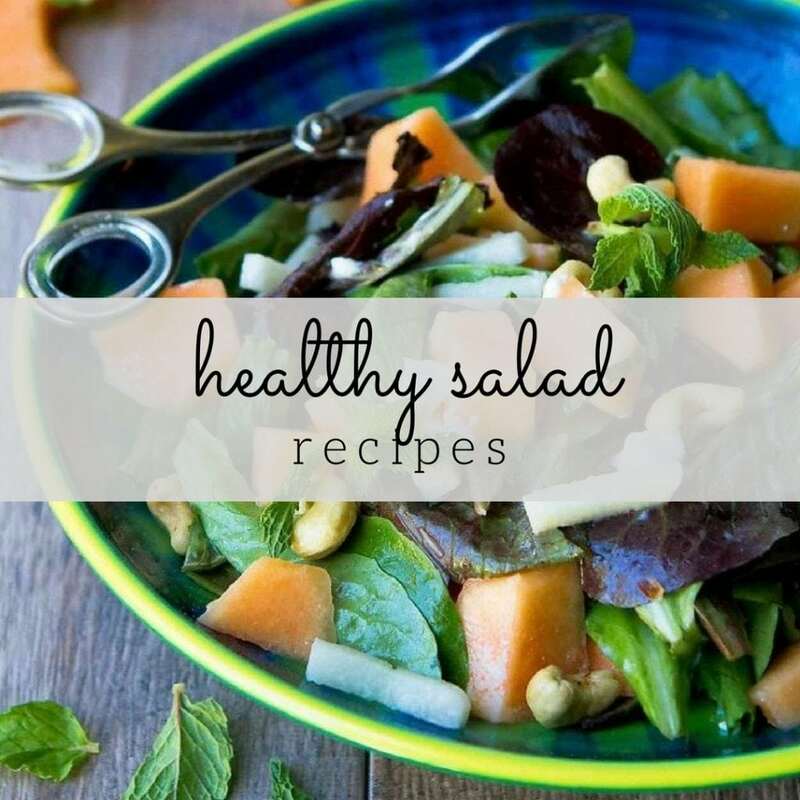 Alternatively, a glass bowl would work in a pinch. Plain Greek yogurt: My preference is for nonfat yogurt, but feel free to use a full fat variety for extra creaminess. 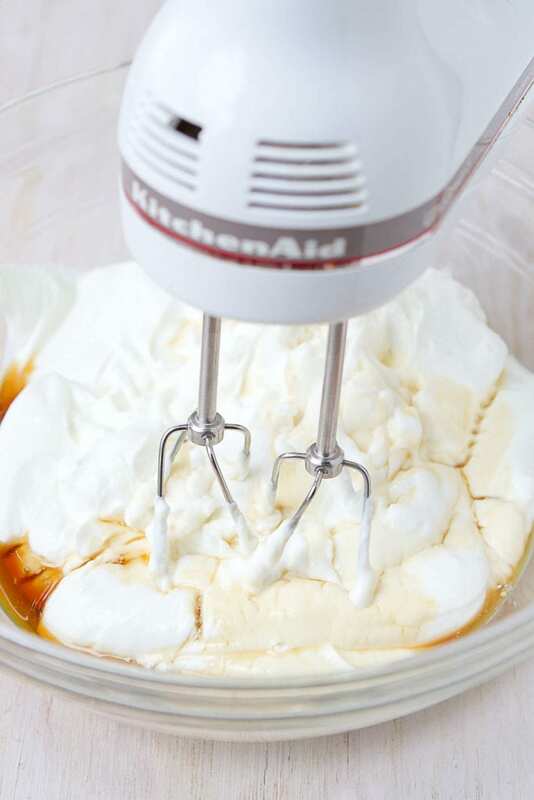 Using either a hand mixer or a stand mixer, whip the yogurt with some maple syrup and nutmeg (hello, holiday flavors!) until light and fluffy. 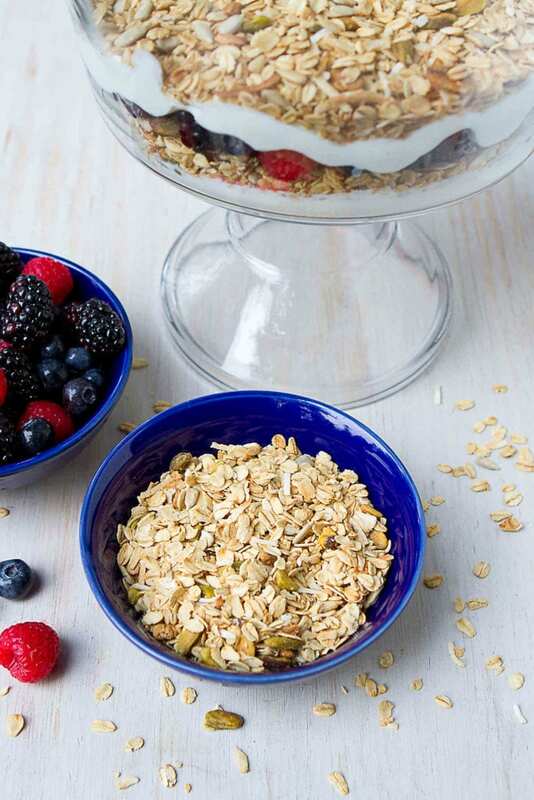 Granola: Homemade granola is the way to go, particularly because it’s so easy to make. I used my Maple Pistachio Granola recipe, which mirrored the flavors of the spiced yogurt really well. That being said, if you have a store-bought granola or another homemade recipe that you love, use that! Berries: Whatever you can find that is the most flavorful. I used blackberries, blueberries and raspberries, but strawberries and marionberries would be great substitutes. How do I make this trifle dairy-free or vegan? 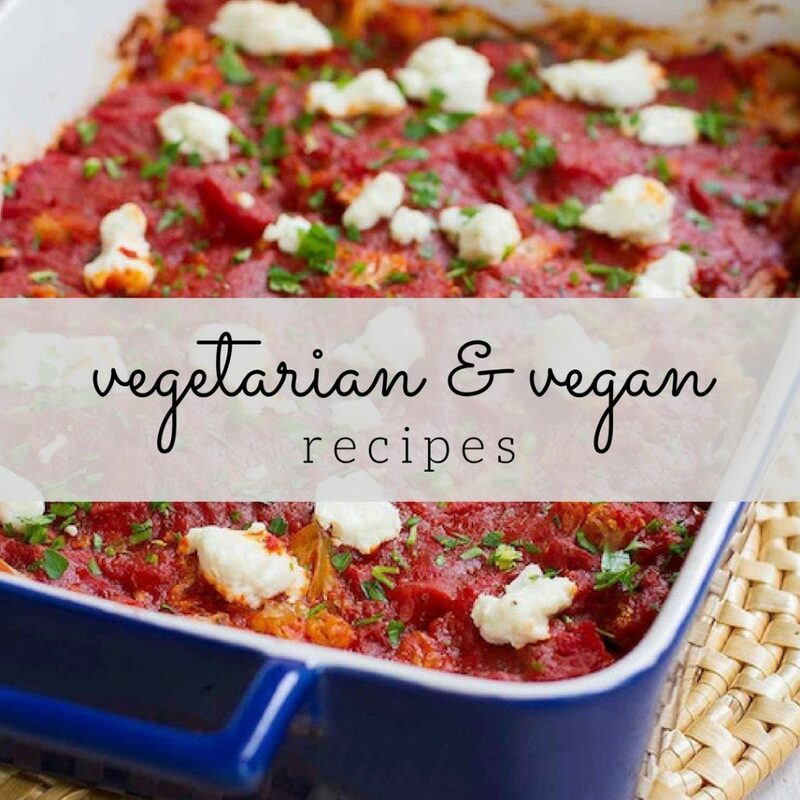 If you’re using my granola recipe, that part of the trifle is already dairy-free and vegan. So, all you need to swap out is the yogurt. There are plenty of soy, coconut milk and cashew-based yogurts available at most well-stocked grocery stores. In a large bowl (with a hand mixer) or in the bowl of a stand mixer (with the whisk attachment), whip the yogurt, maple syrup and nutmeg until the yogurt is light and airy, 3 to 4 minutes. 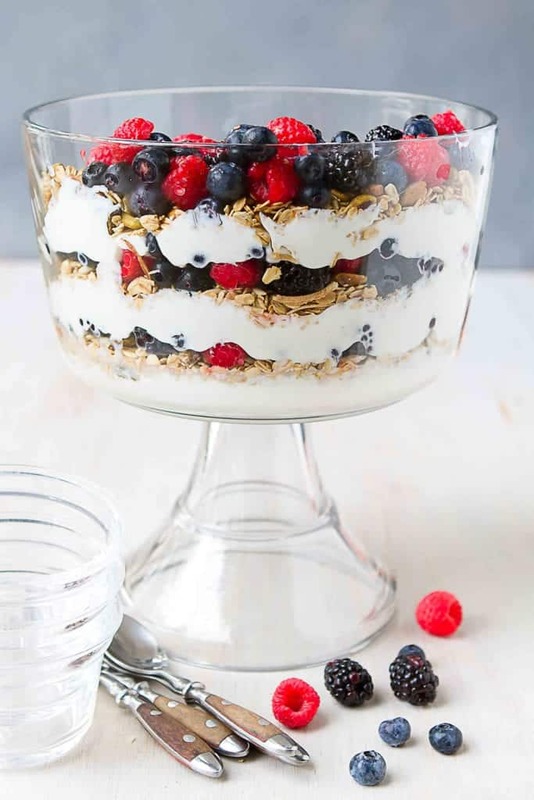 Using a trifle dish or large glass bowl, layer the yogurt, granola and berries starting with the yogurt and ending with the berries. 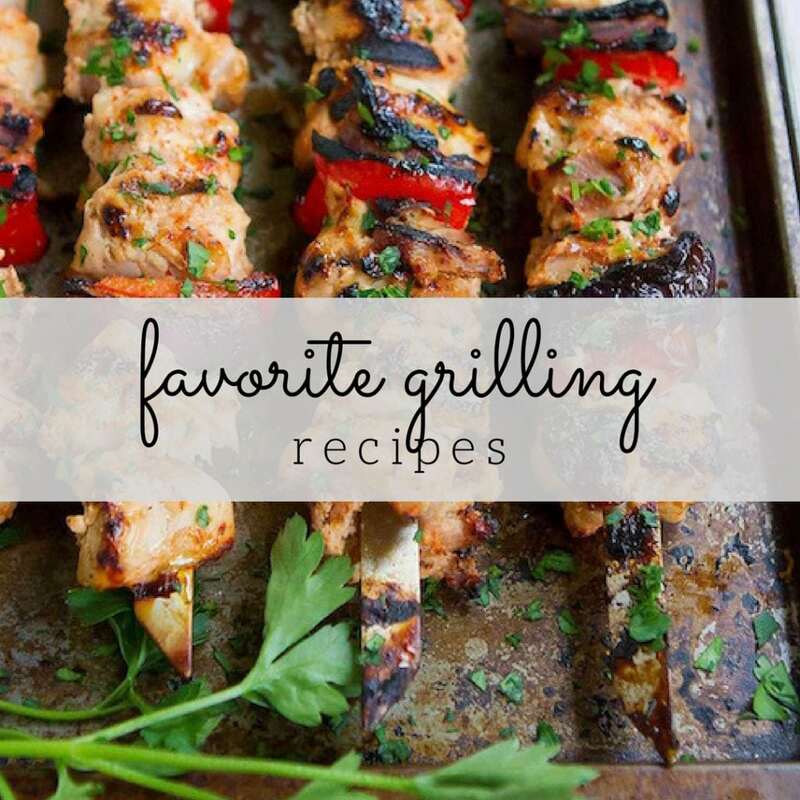 Serve immediately, or cover and refrigerate. Bring to room temperature before serving.